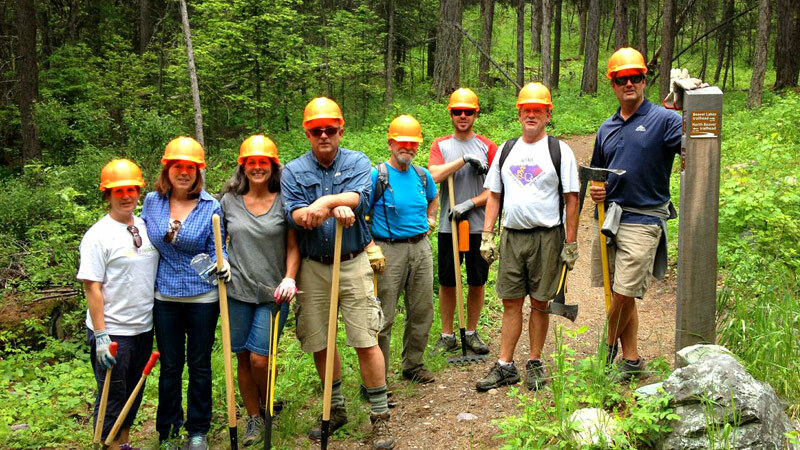 The Whitefish Trail’s Adopt-A-Trail Program focuses on engaging members of the community to help maintain our growing trail system. Eleven segments of the Whitefish Trail have been identified for adoption. Individuals, businesses, and organizations can adopt a section of the Whitefish Trail as either a financial sponsor or a volunteer trail crew, or both. 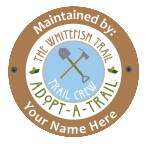 Please download the Adopt-A-Trail map to see which sections are available for adoption. Financial sponsors make a three-year commitment to contribute $1,000 per year. This contribution covers the hard costs of the Adopt-A-Trail program including volunteer coordination, tools, and supplies. Groups are encouraged to choose a section of the trail system that appeals to them and which will become their responsibility to help maintain for a year. During that period your crew, with help and guidance from Whitefish Trail staff, will provide maintenance and monitoring on your segment of trail. Trail Crews are recognized on the trail system, on our website and annual newsletter. 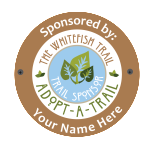 Sponsors and crews are recognized on the trail system, on our website, in the annual report and receive a Whitefish Trail Adopt-A-Trail plaque.